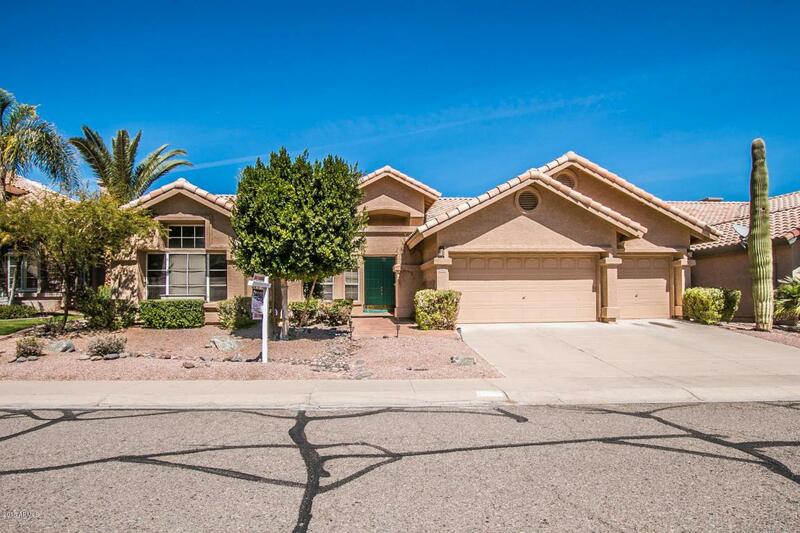 Great potential in this lovely 3 BR PLUS den, 2.5 baths, 3 car garage, single level home off the 17th tees of the Ahwatukee Foothills Golf Course w/mountain views. 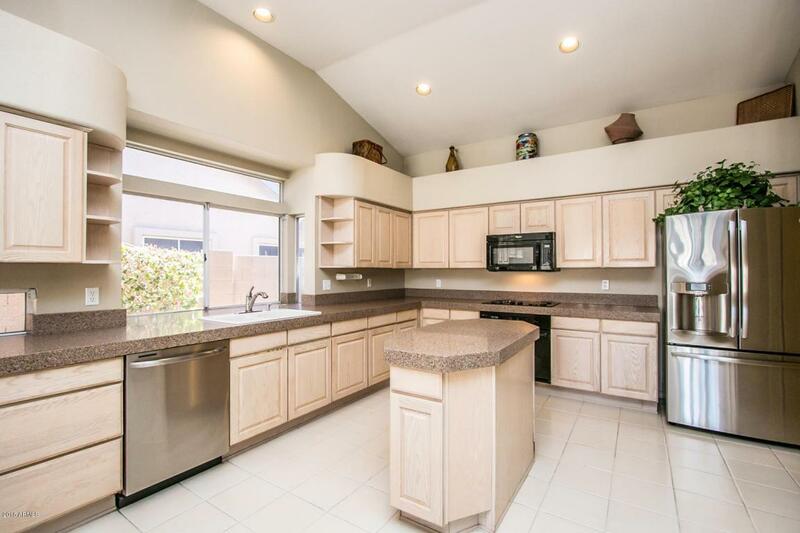 Soaring vaulted ceilings throughout, enter to spacious living/dining area w/sky lights. 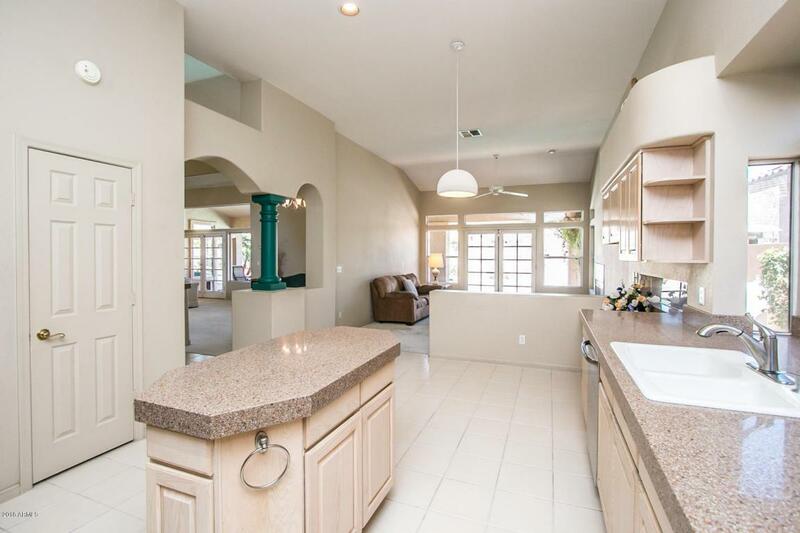 Kitchen, w/abundant cabinetry & solid surface counters, opens to family rm w/gas fireplace & French doors that lead to expansive covered Saltillo-tiled patio, built-in BBQ, sparkling pool & spa. Master Suite features soaring bay windows & exit to backyard. Other 2 BRs are surprisingly large w/easy access to full bath. Laundry rm off kitchen leads to garage w/side svc door & more cabinets. New soft water w/warranty, newer Trane HVAC & water heater. Property being sold as-is & priced accordingly.